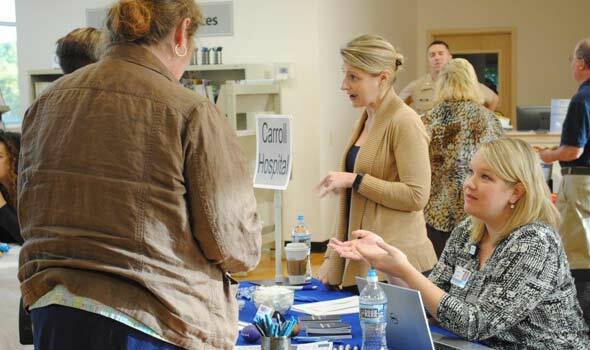 Westminster, MD – October 26, 2017 – The Carroll County Business & Employment Resource Center (BERC) hosted its fall job fair on October 19th at the American Job Center in Westminster. Over 300 job seekers eagerly attended to present their resumes to 24 prospective employers. Some job seekers were first time visitors to the center, however many were returning customers who have been receiving job search assistance and skills training. “We were very pleased with not only the number of candidates that came through the doors, but the quality of the candidates,” stated Halie Wickiser, UX/UI Designer from Hampstead-based software development company Bytelion. BERC offers many business recruitment and training services and job search assistance, workshops and training for job seekers on a daily basis; center activities are posted online at www.carrollworks.com. Commissioner Stephen Wantz, District 1, visited BERC the day of the job fair and interviewed BERC Manager Denise Rickell. If you missed the interview you can view it here to learn more about the agency’s services. Carroll County Business/Employment Resource Center is Economic Development’s workforce agency that is part of America’s Job Network and the Mid-Maryland Workforce Development Area. 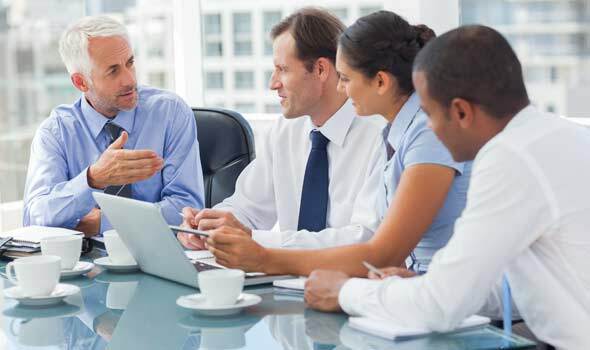 The BERC mission is to develop a highly trained and effective workforce for new and existing businesses, to assist individuals in achieving employment, and to encourage lifelong learning. BERC is open Monday through Thursday, 8 a.m. to 4:30 p.m. and Friday from 8 a.m. to 2 p.m. BERC also posts job openings on Twitter @carroll_works. For more information please call 410-386-2820 or visit the website at www.carrollworks.com. Carroll County Department of Economic Development is a results-oriented team that creates competitive business solutions. To learn more about the programs or opportunities available in Carroll County email info@carrollbiz.org, visit http://carrollbiz.org, follow @CarrollEconDev on Twitter or call 410-386-2070.